I started out hand cutting this stencil and putting it on my shirt. I got so many comments and interest in the workshops that I thought about buying aprons for the workshop participants for them to use and take home. 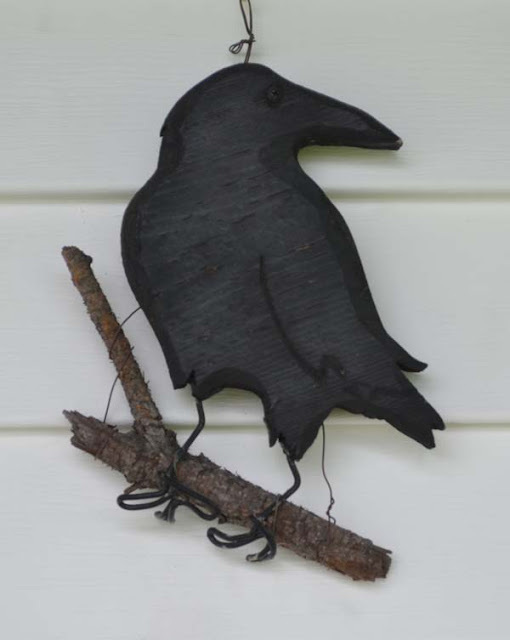 The crow on the stencil is the image I have used for over 20 years. I even hand carved one which is on the wall next to the front door of the Art Greenhouse. I also designed a thermofax screen using a different crow. NO ONE even noticed this on my shirt and Rita who attended the workshop said it looked like a stamp as opposed to the hand cut funky stencil which she liked better. Now I'm not sure which to use. I did send out an email to the participants from the first workshop asking which they wanted on their apron. Which do you like better?? Hands down, it should be the first, blue one. It actually looks like a person made it, not a machine. Your other one is too perfect for a workshop logo, but great for a business/personal logo. Both are nice, but I agree with Kathy... yours is a much more creative, original look! professional image. The hand cut stencil is funky and fun, very in keeping with an apron for your workshops. 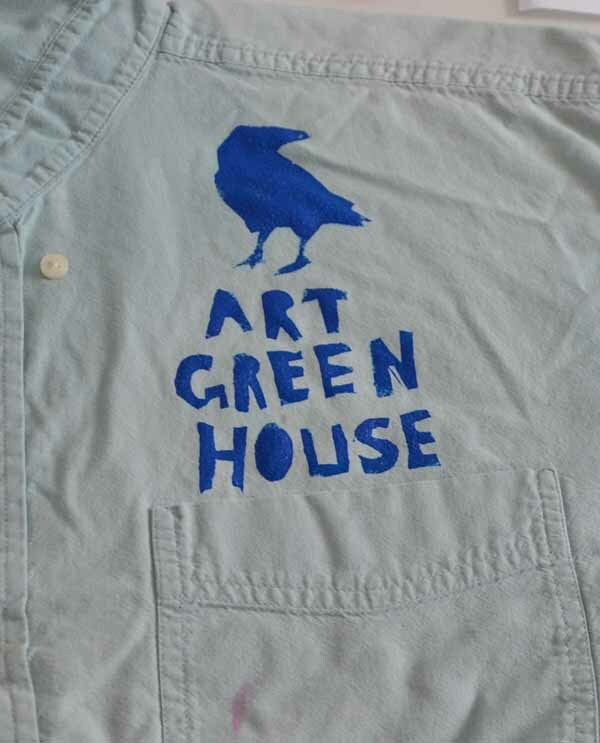 I also like the way the hand cut stencil repeats the crow on the front door of the Art Greenhouse. Both are fun. What? Rita said that? This old memory of mine...I actually like the 2nd one as a logo design, perhaps that's the conservative part of me speaking....Of course both are super terrific.